Health and Family Welfare Minister and Awami League presidium member Mohammad Nasim on Thursday said BNP Chairperson Begum Khaleda Zia has again proved that she still believes in Pakistan by her heart and soul by raising the question regarding the total number of martyrs in the war of liberation in the month of our victory. Terming Khaleda Zia a failure politician the Awami League leader said Khaleda Zia has now been suffering from delirium following her defeat in the fields of politics and polls to Prime Minister Sheikh Hasina. Mohammad Nasim came up with the remarks while speaking as the chief guest at a discussion arranged by the Swadhinata Chikitsak Parishad (SCP) at the auditorium of Bangladesh Medical Association (BMA) at Topkhana Road marking its 22nd founding anniversary. A defeated politician Khaleda Zia has now been coming up with irrelevant and incoherent remarks against the war of liberation unmasking her falsehood. "She (Begum Zia) has again proved that she still believes in Pakistan by her heart and soul by raising the question regarding the total number of martyrs in the war of liberation in the month of our victory. She had been defeated to Sheikh Hasina in all the things, in the fields of politics and polls. That's why she has been talking nonsense now," he said. SCP president Prof Dr Iqbal Arsalan chaired the discussion, also addressed, among others, by former Health Minister Prof Dr AFM Ruhal Haque, Habib-e-Millat, MP and SCF general secretary Prof Dr Abdul Aziz. Mohammad Nasim said, "In her remarks, Begum Zia had not only dishonoured the martyrs but she had also drowned her party BNP. People of Bangladesh had been thunderstruck as Begum Zia created a controversy by raising a question on the total figure of martyrs in the war of liberation. She had put her party BNP in the same line that of the party of killers of 1971, Jamaat-e-Islami." "How she, being the wife of a former sector commander, could come up with such a comment that too in the month of our victory and in front of freedom fighters? The freedom fighters present at the function should have to lodge protest then," he added. The senior Awami League leader said, "She came up with derogatory remarks on the war of liberation in which millions of people including mothers-sisters, doctors, writers, workers and intellectuals shed their bloods. She passed distasteful and obnoxious comments on their spilled bloods." He said that people of the country would give a befitting reply to her remarks in the ensuing pourasabha (municipal) polls. 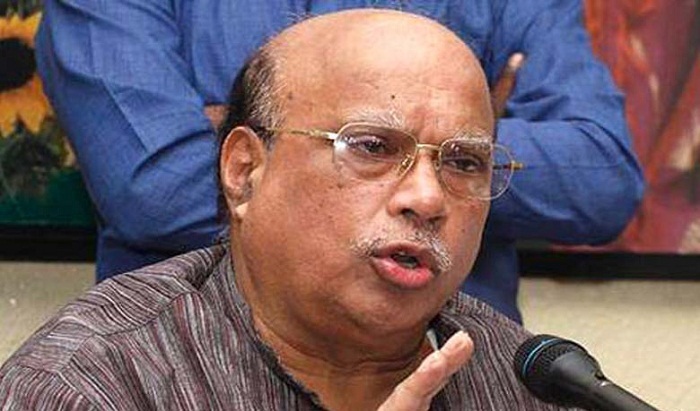 Terming Begum Zia's comments on the history of the war of liberation, Awami League, Bangabandhu and the proclamation of independence as blatant lies, Mohammad Nasim said even the Pakistanis did not dare to pass such heinous and obnoxious remarks. "Begum Zia committed an unpardonable offence by her slanderous comments as she stayed in the camp of Pakistani occupation forces during the war of liberation and owing to her party BNP's long hobnobbing with the party of war criminals, Jamaat," he went on to add.